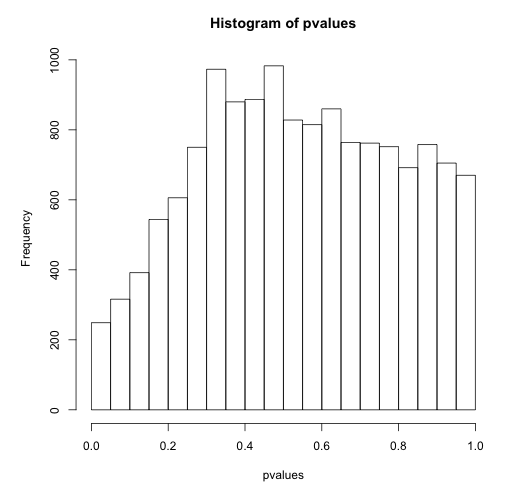 In the qvalue vignette, it states data with a U-shaped p-value histogram is a red flag. If distribution resembles either of the following, is it appropriate to use this package? Thank you. The distribution certainly look weird, and it would be important to understand why they show such a conservative trend. Could it be that their have already been adjusted? This post is relevant. 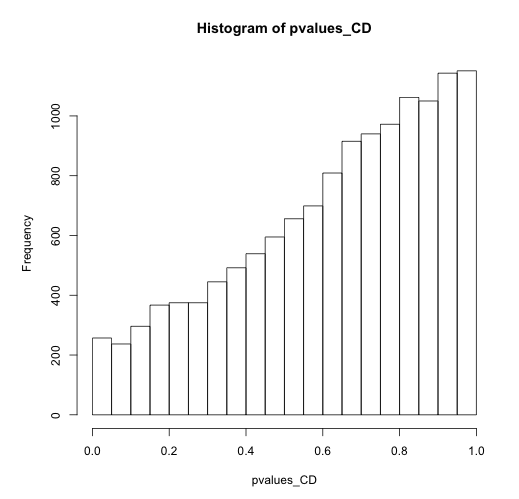 Anyway, applying qvalue, or any adjustment, is not going to be of any help without first troubleshooting your p-value distribution.